An iconic image, a clever way to dress your tech... these world collide with one of our newest customer favorites. Our new Wire Weights keep papers tidy and cords secure. Sound like something you could use? 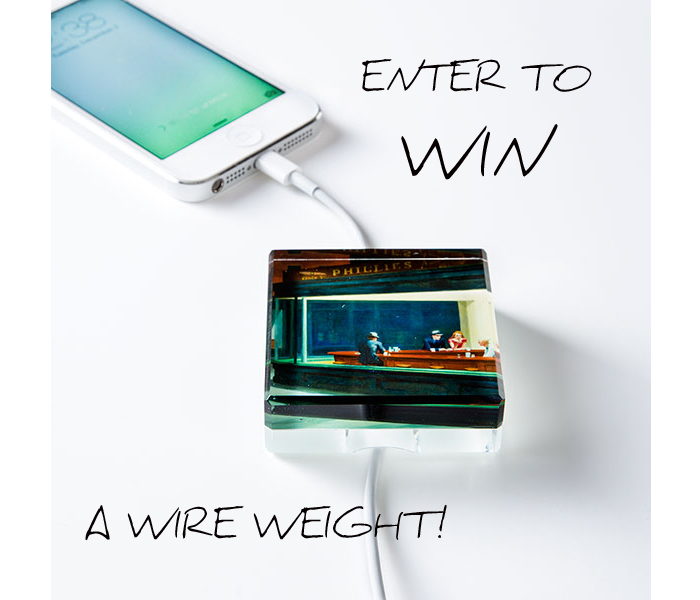 We are giving away a Hopper Glass Wire Weight to one lucky winner! To enter, simply share this blog post on your Facebook page, then come back here and leave a comment confirming you have done so. A winner will be chosen at random and notified June 1st. Good luck! I gave this print to my daughter and son-in-law. They love it. I love visiting the Art Institute of the Chicago Museum. One of my favorite paintings, by my favorite American painter. Congratulations Lesa, you've won the Hopper Glass Wire Weight! Please email your name, address and phone number to aicshopblog@artic.edu. The Chicago Museum of Art rocks!! !